"do not eat this! " How many times have you been told that certain foods are not good for your cholesterol level. Below is a list of foods to avoid or to choose. should I or shouldn't I eat this? Eggs - For as long as I can remember, eggs were a bad food for those with high cholesterol, but the truth is that eaten in moderation, they do not raise your cholesterol. You could eat one egg a day and not harm yourself. boiled or poached is healthier than fried. 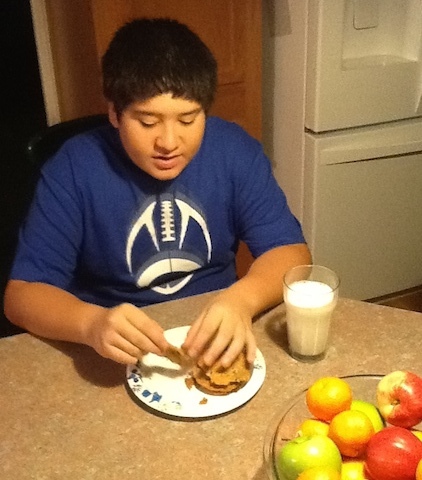 bacon - Bacon is high in saturated fat so should not be eaten on a diet to control cholesterol and/or weight. It is a considered a processed meat. No processed meats appear to be healthy. french fries - Fast food fries are traditionally made with saturated fat although some businesses are trying to use healthier fats now. You can make healthier french fries at home. Baking is better than frying, but regular french fries are not good to eat on a cholesterol lowering diet. Sweet potato fries are healthier than white potato fries. breakfast sausage - Most breakfast sausage is made from pork with added ingredients that make it not so healthy. The healthier sausage to eat would be homemade using ground turkey. bologna - This is a highly processed meat that is better avoided. meat - Choose chicken or turkey without skin. Eat fish. milk products - This is not clear to me. There are scientists and doctors who say it is not so good for you and others that say milk is okay. I read a suggestion on a site that said it would be good to go without milk for two weeks to see if you feel healthier or if there is no change. That sounds like a good idea. It has also been suggested that goat milk and cheese might be healthier than cow milk. With milk there is always the GMO and hormone problem. I am going to continue to research this problem. If anyone has a clearer insight, I would be glad to hear it. Ice cream - I know, this is a milk product too. Basically, manufactured ice cream from the grocery store is full of additives and not so good for you. You can make healthier ice cream at home. 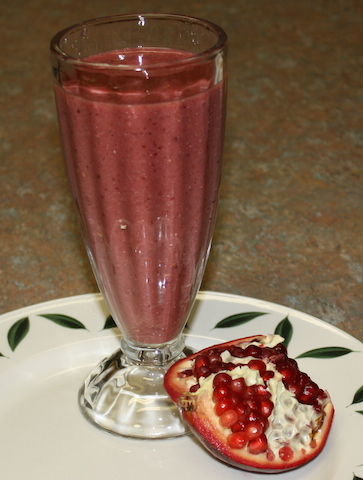 There are many healthy fruit "ice creams" you can make at home. bread - Most breads contain GMO ingredients and preservatives.They are often made with questionable oils. I have learned that wheat is not helpful in lowering cholesterol (see study by Brenda M Davy, Kevin P Davy, Richard C Ho, Stacy D Beske, Linda R Davrath, and Christopher L Melby). The best bread to eat is sprouted grain bread such as Ezekiel or Genesis breads. I have been eating only Ezekiel bread for about a year, and I like it much better than regular bread. I know it is healthier. It contains no processed flour but is made from grains which have been sprouted. vegetables and fruits - These are the healthiest foods you can eat as long as they are fresh. Nuts and seeds - These are good for cholesterol lowering, but are high in calories so don't eat too many. 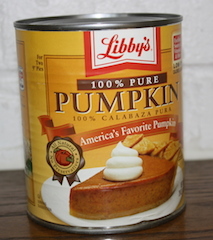 The front label tells us that the can contains 100% pure pumpkin. You can feel safe buying food that is pure and has no additives. 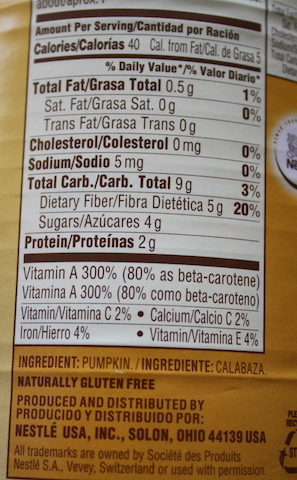 The back label tells us that the only ingredient is pumpkin and that it contains important nutrients. 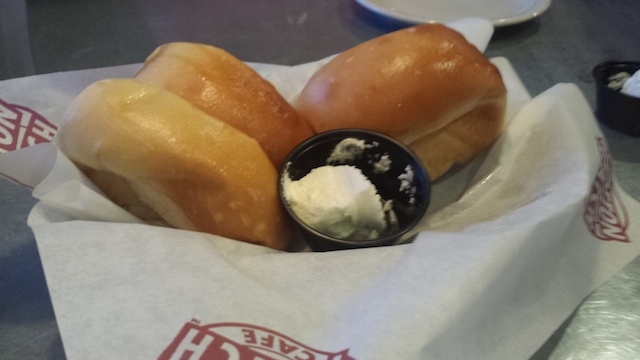 If it has preservatives, don't buy it. They harden your internal organs which are so much healthier if they are soft and pliable. If sodium is high, I don't buy it. You need between 1500 and 2300 mg of sodium per day and almost everything you eat has sodium. Less sodium is better than more, but you do need some. If there are ingredients that I can't pronounce easily, I don't buy something. I feel that those ingredients are probably not natural. Too much sugar is definitely not good. Sugar is the enemy. This makes me sad because I always have loved sugar, but I prefer health. I remember buying margarine for my mother when I was a child. It was white like shortening and came in a plastic bag with some coloring in it. We would squeeze the bag until the margarine was yellow. It didn't seem normal. If you want to eat sausage, you can make this tasty recipe at home. You will know what is in it. Mix seasonings together. Sprinkle over meat. Work in thoroughly. If meat seems too lean, up to 2 T oil may be added to prevent sausage being tough. Add red pepper if desired. Form into patties and cook in skillet.